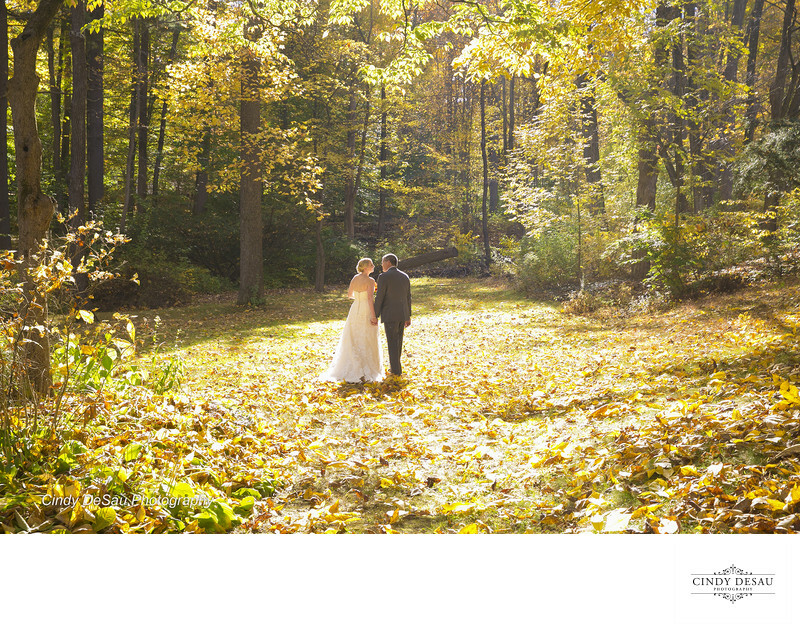 A bride and groom walk through the colorful fall leaves at Holly Hedge Estate. This is an example of the pictorial and scenic photographs I like to create for my couples. I think they would enjoy hanging this on their wall in their new home!